Along the left hand side of the viewer, thumbnails can be seen, showing each series within the study. They are also labelled, outlining how many images/slices are in each series. Click on these thumbnails to change between series/views. Once a sequence has been selected, you may use the scroll wheel on your mouse or use the Left and Right Keyboard buttons to scroll between images/slices. The slider at the bottom of the window will tell you which slice in the series you are looking at. Within the image viewer there are a number of image optimisation tools which can be used. These tools can be seen at the top of the image viewing window. The tools listed below are the most commonly used for radiology interpretation and image optimisation. The LUT tool allows for contrast and brightness adjustment. Select this tool then click and drag vertically and/or horizontally over the image to adjust. The ruler allows the user to measure distances on the image. Select the ruler then click and drag on the image between the points requiring measurement. This is the zoom tool. When selected, click and drag over the image to enlarge or shrink the size of the image. This is the transformation tools. From the drop down list on this button, the image can be flipped or rotated. This is the DICOM extraction tool. 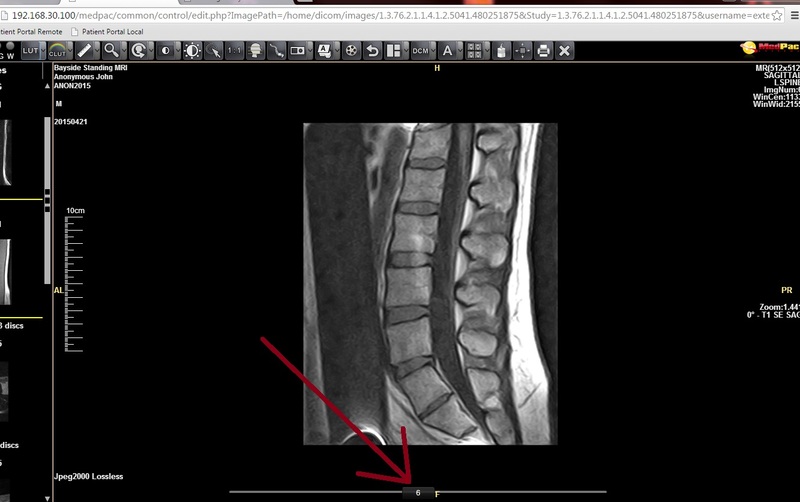 This allows the user to download the images to their computer in JPEG, PNG or raw DICOM format. 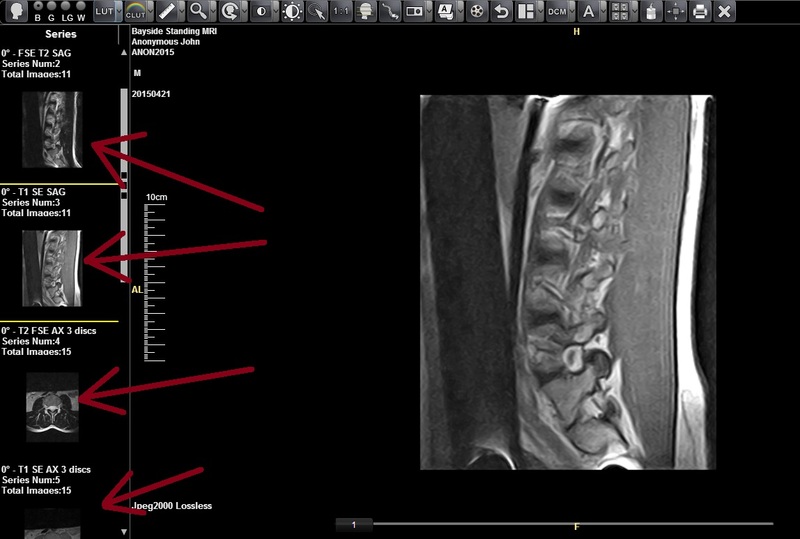 There are a number of more complex features which can be utilised with the online viewer. Click here for details and instructions on these advanced features. If you have any other questions or queries regarding the functions within the patient portal, do not hesitate to contact us.